If you want to start your business online, I suggest you stop wasting your time, and start working on it right away. I also used to read countless articles about website building, SEO, finances and all that, but you can waste a lot of time and money by doing it. 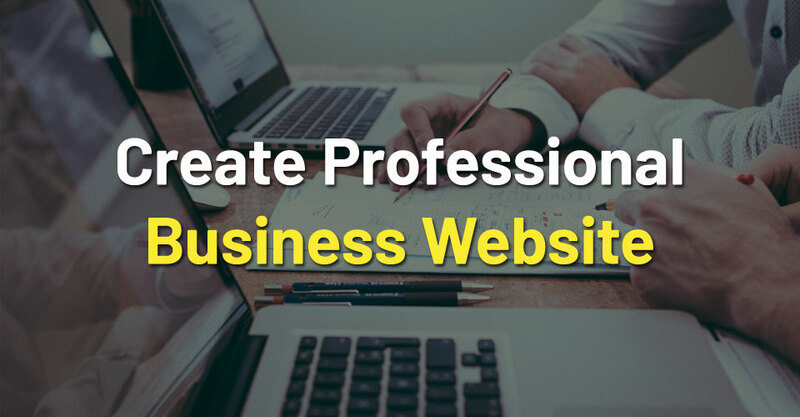 In fact, creating a website for your business is the first thing you should do. You will have plenty of time to improve it later. 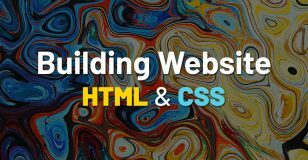 Today, it is so easy to create a website that literally everyone can do it, no matter their expertise. Every day without a website is a day when you could have generated traffic to your site. Maybe some of those people would have even bought your product or service. It was much more expensive back in the day to create and maintain a website. Times have changed, and now it costs only a few dollars per month to grow your business online. In this article, I am going to show you how to create your own website quickly and easily in 5 comprehensive steps. 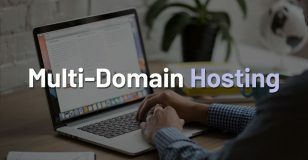 There are dozens of web hosting providers where you can get email accounts, free SSL, free website builder, WordPress support and a lot more just by signing up to one of their packages. By the end of this guide, you are going to end up with a small business website that is ready to grow. Without further ado, I am going to start with the first step. First of all, before creating a website for your business, you need a domain that properly represents your brand. I want you to pick something catchy and short, so that people can easily memorize it and type the URL into the browser. But what if the domain name you want to register is already taken? Before you register a domain through a domain registrar, you need to check the availability via a search bar. It can happen that many of your domain name ideas are already in use, so it is not always an easy task to find the perfect one. With a bit of luck, you can find an available domain name in a couple of minutes. Then, the setup will continue with the next page where you need to fill out some additional details. If I were you, I would definitely go for the .com extension. It is simply the most popular one, which makes it convenient for people to type it into their browsers. A .com extension makes your website easier to find, however, it also increases the chance that the domain name is already taken. I recommend you not to try out more extensions for the same domain name idea. If you have tried one with .com and it is taken, then go for the next domain name instead of changing the suffix. Let’s say you pick a domain name with .com, and then once it turns out that it’s taken, you pick the same name with .net. It will show you that the domain is available with .net, so you end up successfully registering it. As a result, you will lose a high number of customers on a regular basis. Why? Because people are going to type in .com instead of .net, open the other website and yours won’t even get a chance. Therefore, if you try a domain with .com and it is not available, just let it go. You will surely come up with an even better one. If you have a really unique idea and want to try out some of the other extensions, then I would suggest you to go with .net, .info or .org which is also highly popular. How to Find the Perfect Business Website Domain? Optimize your domain for Google – It can give you a huge boost of traffic in the long run if you include a popular keyword in your domain name. Try to find out what words people likely to use in Google search when they try to find your type of business. Make it short and easy to remember – In a domain name, you should avoid using punctuation marks. Also make sure to remove unnecessary words from it, making it shorter. People should be able to memorize it in a split second. If you have some regular visitors that like your website, they are probably going to mention it in a conversation. A short and catchy domain name is always going to stick in the other party’s brain, allowing them to visit your site later. Combine it with your business location – Sometimes the only thing you need for creating a unique domain name is to add the name of the city or area where your business is located. There are two reasons why I consider this a powerful trick. Firstly, it allows you to quickly register a domain. Secondly, when people try to find something on Google, they often type in the location as well. 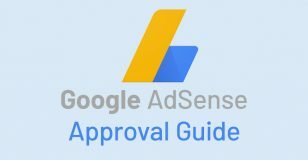 This increases the chances that they are going to land on your site. After you have got the domain registered, the next step is to pick a reliable web hosting provider. Of course, you can always set up a website on a free platform and get it hosted there, but I can guarantee you that no one will take your website seriously. A premium hosting service costs only a few dollars per month and you will get a lot of value for the price. Security, customer support, powerful hardware and lots of useful features are included in the average hosting package. Creating a website for your business is as easy as pie with such a provider. In addition, you will be allowed to run your website under your own domain and without any ads. The two hosting providers that I would recommend are Weebly and BlueHost. I have tried both alternatives for a significant amount of time. According to my experience, I can say that BlueHost is rather recommended for advanced users, whereas Weebly is a great option for beginners. 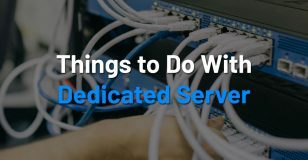 Therefore, BlueHost powers a wide range of businesses from starters to huge enterprises, while Weebly is a popular choice among bloggers and small businesses. I can’t really say that one of these two is better than the other one. I rather think that both of them are outstanding alternatives for their own target audience. If you take a look at the hosting packages at BlueHost, you can conclude that they offer a lot of value for those prices. You can sign up to a hosting plan for as cheap as $2.95 per month and they give you a business email, a domain and a range of other extras. At Weebly, the staff is more helpful. They are well aware that most of their clients are not that experienced when it comes to websites and hosting. Weebly made sure that pretty much everything is laid out with the inexperienced user in mind. If you want more support and simpler execution, then you need to pay a higher price. At Weebly, the starter business plan costs $12 per month. This might seem a bit expensive compared to BlueHost, but if you sum it all up, it turns out that you get a lot of value for that money. It is completely worth it in my opinion because I think their features can help a small business in many ways. 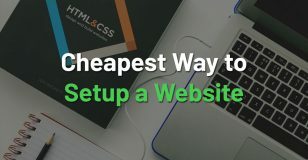 Now you can either choose Weebly where you can smoothly build a website in a user-friendly interface, or go for BlueHost where you can easily set up a WordPress site. Now I’m going to talk a bit about WordPress and why it is such a great choice for creating a website for your business. WordPress is definitely not as beginner-friendly as Weebly. 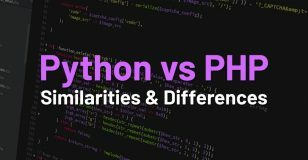 However, if we take the abundance of helpful guides and tutorials into account that are available on the Web, we can say that pretty much everyone can get along with the platform. Sure, it will take some time until you get familiar with the WordPress Dashboard and all the customization options available, but at least you don’t need any experience in web programming. Weebly has a different approach. There, the website building process is based on the drag-and-drop method that makes website building almost like a game. I would say that WordPress is the better choice for those who prefer more traditional and structured editors. If you sign up to a BlueHost plan, you can start working on your WordPress website right away. It won’t take you more than an hour to build up the site and get it live. All you need to do is to find a theme and install it in the Dashboard which is quite straightforward. If you don’t want to spend time on learning a new platform, then I suggest you to use Weebly instead of WordPress. The platform is quite self-explanatory and can actually save you a lot of time. I personally consider it as the perfect tool for small businesses that want to get online. In order to save time, you will need to pay a bit more, but if you are not experienced in building websites, it certainly pays out in the short run. As I mentioned it before, the Weebly website builder is based on the drag-and-drop method. This means that all you need to do is to grab elements and place them where you want until you have a full web page, then continue with the next one. There is not much skill involved, as you mostly need to rely on your creativity during the process. Weebly allows you to choose from an abundance of templates. Once you pick a template, you can start working on your web pages by inserting text, images and other elements. Did you ever work with Microsoft Power Point? If the answer is yes, then I think you are going to get along quite well with Weebly. Like most of the popular website builders, this one also lets you add interactive features. By interactive features I mean forms, video embeds from various sources, Google Maps integration and much more. If you want your visitors to enjoy hanging out on your site, then it is mandatory to use these features. As a small business, you might want to sell a few products on your website as well. Weebly is not specifically designed for eCommerce purposes, but it allows you to sell a handful of items if you really want to. If your main goal is to create a Products page and start selling a wide range of products online, then I would recommend you look elsewhere. Today, there are numerous website builders available on the Internet that specializes in eCommerce. They are similar to Weebly, but they rather put emphasis on providing a secure payment gateway, marketing tools, product management tools, extensions for creating gift cards and all that stuff related to online shops. For example, I can recommend you to try Volusion, a platform that I was using a few years earlier. I was absolutely satisfied with the set of eCommerce features that Volusion offers. If you want to try it out, you can sign up to their free 14-day trial and they won’t even ask for your credit card details. Everything is set for creating your new website, now you only need to decide which type of content you are going to publish on it in the future. When people visit your website, you need to show them that your website has its own vibe and wants to convey a message. Actually, I think that creating a website has been made so simple that you don’t need to worry about it at all. It will be up and running quickly and easily. Figuring out what your niche is and publishing quality content on a regular basis, on the other hand, requires much more time and effort. A business website doesn’t require you to generate a lot of content. The message needs to be simple and powerful. No matter if it is a product or service that you want to sell, the text and imagery on your website will be mainly about what you offer. When it comes to pages, there are some essential options you should include. For example, you need to add a “Contact us” and an “About” page where viewers can send you feedback, ask questions and read some more about the history and the main idea behind your business. It is very important to interact with your customers. Homepage – This is the page that should highlight your brand, the name of your business. In addition, you should include the location on the page and a catchphrase. The latter will help viewers understand what makes your business special and how it can help them in their daily lives. Products/Services page – You need a page where people can check out all your products or services in detail. It needs to be fast and user-friendly, displaying your products with high-quality pictures. Make sure to add unique descriptions to your products and include their prices. About Us – Add some key details here about your company, its staff and include partners or any other company you are associated with in any way. If there are any companies or customers that were satisfied with your products or services and shared their positive feedback, then you should include them on your About Us page. Contact Us – The details you should add on such a page are the address, phone number, email, opening hours and social media pages of your business. If you start a business, creating a few social media pages for it is one of the main steps you should take. Also, don’t forget to add a Google map to your Contact Us page since it is the easiest way for people to find you. Those days are long gone when the majority of people were still browsing the Internet through their desktop machines. More and more people are browsing the Internet through smartphones. Nowadays, you should rather focus on optimizing your website for viewers that visit your website via mobile devices. If your website doesn’t work properly on smaller screens, then you are going to lose a significant number of potential customers. A smart choice is to pick one of the online website builders that automatically optimize your website for mobile devices. Weebly is definitely a website builder alternative that I would recommend for anyone. I had a great experience with the platform, as it is easy to use and has plenty of responsive themes to choose from. If you choose such a theme, then you only need to design the desktop version and it will take care of the rest. Once a viewer opens it on a mobile device, it will instantly adapt and display your website on the small screen in a neat way. If you don’t like these drag-and-drop based website builders, then WordPress is another great alternative for creating a website for your business. There are literally hundreds of responsive WordPress themes to choose from; you just need to pick the one that suits your brand the most. Although the mobile version of your site will be generated automatically, sometimes it is not enough to deliver a good-looking website for your customers. A mobile version can easily become cluttered with detail opposed to the desktop version. You need to be on-point, using less content to display the products and services you want to offer. Visitors usually don’t want to spend much time on a website while browsing on their phone. They just want to quickly find what they want and leave. This is why I recommend you to modify the mobile version, make it less detailed and focus mainly on call-to-action elements. Visitors also need to be able to instantly call you or make an order. You can solve this problem by adding click-to-call buttons to your mobile site, so that they can instantly store your phone number. Another thing is Google maps and navigation. Potential customers might want to check your business on the map and set their navigation system to lead them to your store. Therefore, everything should be quick, short and informative for the mobile user. You need to create a logo that grabs the attention of the viewer. When it comes to a logo, I think that every little detail is important. Focus on picking the perfect font, colors and style in order to properly represent your brand. If you hire a graphics designer to do it, then don’t settle for the first version of the logo. Take a look at it carefully and ask for as many changes as possible until it is perfect. The point is to create a logo that fits to your website design and display a strong brand. Create one yourself – If you have the design skills required to create a logo for your small business, then all you need to do is to sit down and put some time and effort into it. There is an abundance of design software available today, both free and premium. Hire a designer – You can always visit a website like Fiverr.com and look for someone who has a nice record of finished projects. The reason why it is called Fiverr is because most of the projects are done for $5 there. Although if you want to quickly get a well-designed logo, then the price will surely be higher. Try to find a graphics designer with a style that fits your website the most. Start a design contest – On sites like 99Designs.com, you can start a contest where numerous graphics designers send in their logos. During these competitions, you can see various ideas and also ask the designers to modify their logos until it is perfect for your business. Then, you can pick one of the available alternatives, pay the designer and get your brand new logo design. Depending on the number of designers you want to see competing and their expertise, the price ranges from $299 all the way up to $799. If you followed the previous steps accordingly, then you are completely ready for creating a website for your business. All you need to do is to design your website and put all the pieces together. It is important to note that people decide in the first 3 seconds whether they want to stay on a website or leave. What this means is you should make a powerful first impression in order to make them stay. I have prepared some tips for you that can help you grab the attention of your viewers and arouse their interest. Straightforward navigation menus – You need to ensure that the navigation menu is as straightforward as possible. People don’t want to think about how to get to the different sections of your website, they just want to go with the flow. Make sure that visitors instantly find what they want. The importance of call-to-action – An effective call-to-action button instantly grabs the attention of your viewers. Once you have their attention, they are going to be curious and actually go for the desired action. It can be a new product, a discount, or simply a shortcut button that leads them to your products page straight from the homepage header. Fast website page load time – The more your visitors need to wait until the web page loads up, the higher the chance that they are going to leave. There is no other way around it; you need to pick a web hosting provider that ensures high performance for your website. Keep it clean and simple – It is important not to clutter your website with details or overly colorful and fancy design. This can easily make your website overwhelming for your customers. Minimal design is definitely the way to go. It highlights only what is truly important on your site and also makes it look modern and professional. I mainly recommend Upwork for those who want to start a simple website. All you need to do is to visit Upwork, sign up and find a designer that you can trust with creating a website for your business. There are literally hundreds of people that can’t wait to start working on a project. Designers on Upwork usually use popular website builders for creating such websites. These platforms are easy to use, but they still require some creativity from a designer to end up with a professional-looking website that suits your business. Creating a website with Weebly doesn’t take much time anyway. If you take this into account, then the usual $10-$20 hourly rate on Upwork isn’t that high of an expense. 99Designs is the site I recommend for those who want a more advanced WordPress site for their business. As you go through the available WordPress templates in the market, you might find it difficult to find one that truly fits to your needs. Also, customizing themes sometimes requires specific skills if you want to go into detail. This is where hiring a designer from Upwork can be a great alternative. It is not only good for logo design, but website design as well. If you want a website, then the process will be based on the same idea as with logo design. You will start a competition where you state what you exactly want your designers to work on. Then, as they join, they will put together different website designs you can choose from. More and more designers submit their work, and then if you find the winning website design, you pay that one participant and leave with the finished website theme. Of course, it is more expensive than the logo design with prices ranging from $599 to $1,599 on average. Such a design needs to be coded as well, so it is not ready to be applied to your website yet. On 99Designs, you can find a solution for that too. There are plenty of experienced programmers available on the site waiting for new clients. They are mainly specialized in coding website designs made by designers from 99Designs. These coding partners can code your main page and make it optimized for mobile devices for only $300, and then all your additional pages for $150 each. For creating a website for your business, I can recommend you one of the cheapest and most reliable web hosting alternatives: BlueHost. This is a company that has many years of experience in web hosting and offers various types of web hosting packages. I consider it as an outstanding alternative for personal projects and small, medium-sized and big businesses as well. By choosing one of their packages, you can get a lot of value. For example, there is a BlueHost hosting plan that perfectly suits small businesses. In a single package, you can get a domain name, email accounts, one-click WordPress install and plenty of useful features for the CMS and it costs only $2.95 per month. If you would rather work on a simpler platform, then I suggest you to try Weebly. It is a website builder designed with the inexperienced user in mind. For only $12 per month, you get this platform where it is literally child’s play to put together a website. They even provide quick and helpful customer support for those who get stuck or have any questions. With that said, we have reached the end of my article about how to create a website for your business. Hopefully, I included enough tools and tips that can help you to seamlessly go through these 5 essential steps and finally get your website up and running.